Kevin Ernste is a composer, performer, and teacher of composition and electronic music at Cornell University where he is Associate Professor of Music and Director of the Cornell Electroacoustic Music Center. He is a founding member of the improvisation ensemble, CAGE. 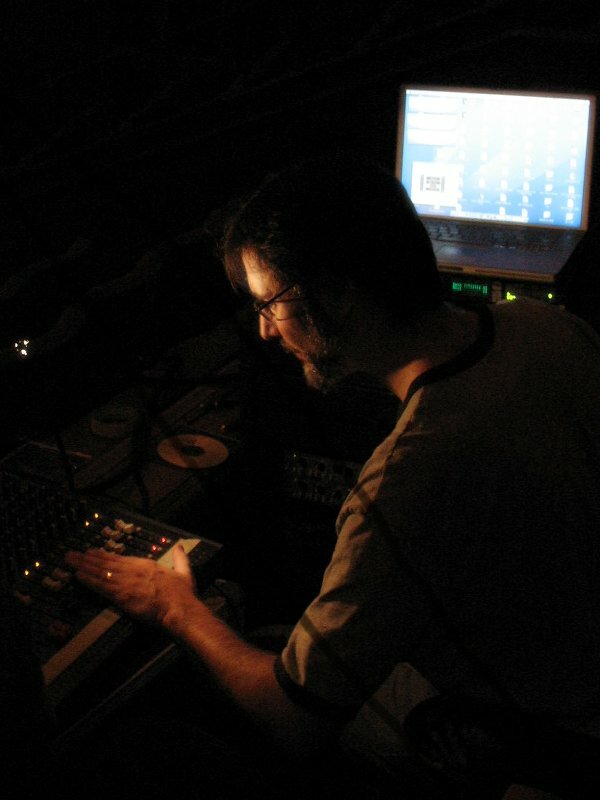 In 2006 he was the Acting Director of the Eastman Computer Music Center and Co-director of the ImageMovementSound festival. His work is rooted in the exploration and expansion of acoustic instrumental sounds with electronic/computer means, working in close contact with musicians, delving into an instrument’s sonic and physical nature, seeking hidden voices and phenomena, in turn revealing new techniques for human performers. Recent music includes Interregnum for chamber ensemble and bowls of water–released in 2018 as an audio and video album, The Awful Grace for viola and percussion with unmanned piano and electronics, Chorale for chamber ensemble and live electronics–commissioned by the Society for New Music and dedicated to composer Steven Stucky, Palimpsest for the JACK Quartet–the result of a Harvard Fromm Foundation Commission, presented recently at the Sweet Thunder Festival in San Francisco and the International Computer Music Conference in Athens Greece, Nisi [nee-see] (“Island” in Greek) for hornist Adam Unsworth released on Equilibrium Records “Snapshots” (CD111), Adwords/Edward, dedicated to NSA whistleblower Edward Snowden and composed for Google Glass, Numina for Brooklyn-based Janus Trio (flute, viola, harp) presented at the Spark Festival in MN, Seiend for brass quintet premiered by Ensemble Paris Lodron (Salzburg, Austria, Roses Don’t Need Perfume for guitarist Kenneth Meyer (gtr. and electronic sounds, 2009) recently released on CD (May 2018, Innova), a piece for saxophone and electronics called To Be Neither Proud Nor Ashamed (recently released on Innova Records), and Birches for viola with electronic sounds for John Graham performed on Mr. Graham’s recent China tour (Beijing, Wuhan, Xiamen, Hong Kong) as well as at the Aspen Summer Music Festival. Mr, Graham presented Birches again in August 2011 at the International Computer Music Conference (ICMC) in Huddersfield, UK and again in 2012 at CCRMA for the Linux Audio Conference. The Music in the American Wild audio and video albums, including my piece Interregnum for chamber ensemble and bowls of water are now available on iTunes/Apple Music (audio and video), Amazon, or through ArtistSharer. This new disk with guitarist Kenneth Meyer features my piece, Roses Don't Need Perfume, for solo guitar and live electronics. In addition to the inclusion of my work, I was sound recording engineer for the project. Palimpsest was composed for the magnificent JACK Quartet, the result of a Fromm Music Foundation Commission, and is dedicated to Hans Abrahamsen. Copyleft (ↄ); Kevin Ernste, composer. All Rights Guaranteed.